Our beloved Kitchen Staff cook up three delicious, healthy meals and a midnight snack for you every day. Our entire behind-the-scenes team is crucial to creating the well-oiled community machine that is Miles of Music. Instructors teach about three classes every day. Alec Spiegelman is a Brooklyn-based singer, composer, arranger, & multi-instrumentalist specializing in woodwinds. He is a member of the band Cuddle Magic. As a sideman, on stage and in studio, he’s worked with numerous creative songwriters including Amanda Palmer, Anais Mitchell, Pokey LaFarge, and Will Sheff. He’s arranged and performed the wind instruments on countless recordings, among them three albums by The David Wax Museum, and Kristin Andreassen’s Gondolier. He’s produced recordings for Jennifer Kimball (formerly of The Story), Anna & Elizabeth, and the conceptual multi-media artist Jack Early. His musical-comedy project (with Kelly Roberge), Ronald Reagan – Boston’s Premier 80s Pop Saxophone Duo, has shared stages with Eugene Mirman, Kristin Schaal, and Reggie Watts. His early musical education included lots of improvising in the jazz tradition (broadly defined), formal studies with Steve Lacy and Ran Blake, and a thorough (informal) grounding in r&b saxophone best-practices (a la Junior Walker) directed by Doo Wop survivor Little Joe Cook. Singer, songwriter, and guitarist Courtney Hartman started playing guitar at the young age of eight, after having already spent several years on the fiddle and mandolin. Her early years were spent steeped in American Roots music, and today she has fused a diverse range of influences from Norman Blake to Bill Frisell, creating music that acknowledges and pays homage to her roots, while pushing beyond its defined boundaries. Her recently released solo project 'Nothing We Say' is flush with intimate ruminations on her life as a traveling musician and a deep curiosity about the world around her. The luminous EP delivers on the promise always apparent in her work as a guitarist and songwriter for Della Mae, the Grammy-nominated string band, along with her collaborations with Bryan Sutton, Jim Lauderdale, and Tom Petty and the Heartbreakers’ Mike Campbell, among others. Acoustic Guitar Magazine lauds Courtney as a “distinctive guitar stylist… and a songwriter that delights and disturbs.” www.courtneyhartman.com. Twice named International Bluegrass Music Association’s Bass Player ofthe Year, Mark Schatz has toured and recorded with a stellar array of artists including Bela Fleck, Tony Rice, John Hartford, Tim and Mollie O'Brien, acoustic innovators Nickel Creek, The Claire Lynch Band, and Sarah Jarosz. Mark is the Musical Director for internationally acclaimed Footworks Percussive Dance Ensemble which showcases other talents such as clawhammer banjo and Southern Appalachian clog dancing. This versatile multi-instrumentalist has two of his own solo recordings, Brand New Old Tyme Way and Steppin’ in the Boiler House on Rounder Records, which feature his own eclectic blend of original compositions on the banjo. Mark is currently freelancing which includes touring, recording, instructional camps, and private instruction. As a tunesmith, Mark’s self-styled “traditional tunes from imaginary countries” have entered the repertoire of many players in the Celtic, old-time, and contra-dance scenes. Mark is currently Asst. Professor in Songwriting at Berklee College of Music. Kelley Anderson is a multi-instrumentalist and sound artist based in Memphis, Tennessee. She studied jazz guitar at the South Carolina Governor’s School for Arts & Humanities and earned a Bachelor’s in Recording Industry Management from Middle Tennessee State University. She uses her experience in sound engineering to create unique textures, incorporating those soundscapes into more traditional song structures of the American musical canon. Anderson founded and toured internationally with the band Those Darlins, releasing two full-length albums and several singles with the group. She later recorded and toured as the Grand Strand, releasing a 7" record on Riot House Records and securing an opening spot on a tour for Richard Lloyd of the band Television. She founded the Southern Girls Rock Camp in 2003 and Youth Empowerment through Arts & Humanities (YEAH!) in 2006 to empower more young people through music. She has shared a stage with a who-who’s of American rock, blues, country, folk and pop legends as wide ranging as John Fogerty, Jon Spencer, Dan Auerbach of the Black Keys and Wanda Jackson. 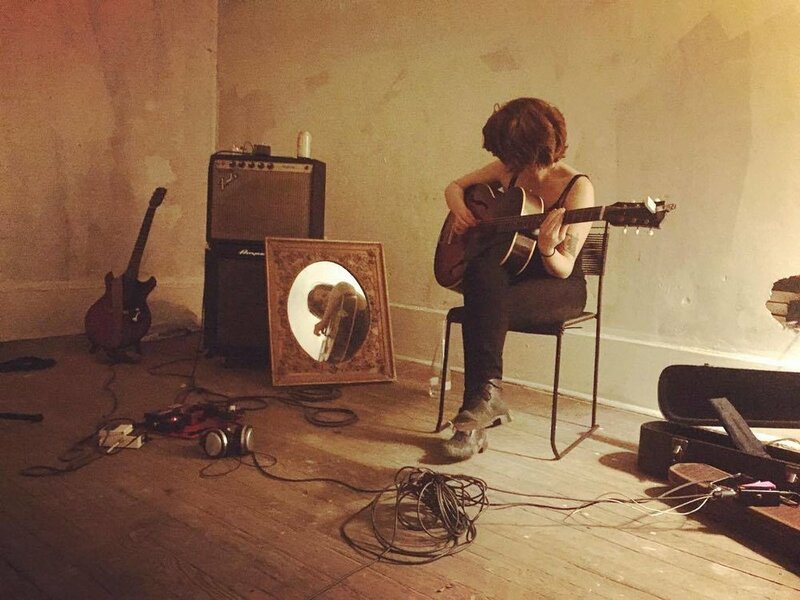 She currently performs under the name Crystal Shrine, a project in which she uses various sounds to produce eerie, Southern gothic folk and pop songs. Maya de Vitry grew up in Pennsylvania with one foot in old-time festival mud and the other on stage with symphony orchestras. Her love of music as human connection was crystalized after busking her way across the U.S.A. and biking with her fiddle across France. Based in Nashville, TN, Maya has spent the last five years touring the United States, Canada and Europe as a songwriter, multi-instrumentalist and singer in The Stray Birds. K.C. Groves is a driving force in the Colorado acoustic music scene, passing on a spark and her pure joy of playing music to newcomers and the next generation pickers. She is accomplished instrumentalist (mandolin, guitar, bass), vocalist and songwriter. As the creative center and bandleader of Uncle Earl for over a decade, K.C. helped bring old time music to a wider audience. The "g’Earls" played major festival stages in the United States and toured extensively. K.C. has released three solo albums of mostly original material, and was a Telluride Troubadour contest finalist and a Detroit Music Award winner. She has teamed up with countless notable musicians, including old time musician and craftsman Riley Baugus and Leftover Salmon’s Vince Herman. KC' is about to release her first solo album in 13 years. The album, entitled "Happy Little Trees"is comprised of mostly original songs and tunes and features a core band of long time friends, Oliver Craven, Erin Youngberg, Jake Simpson, Charlie Rose, Sally Truitt, and many other special guests. Each year, we feature one regional traditional music style. In 2017 we’re bringing four stellar musicians who are thoroughly at home in Irish music, while also bringing a range of skills in other styles. They'll all be members of our full-time staff. Originally from Dublin, Eamon O'Leary has performed and recorded with many of Irish music's great players. His recordings include the trad song collections 'The Murphy Beds' with regular touring partner Jefferson Hamer, and 'The Alt' with John Doyle and Nuala Kennedy. His original songs are featured on the album 'Old Clump.' He has also taught at many music camps throughout the U.S and Canada. Cleek Schrey is a fiddler and composer from Virginia, now based in Brooklyn, NY. An active figure in traditional music communities in Ireland and America, Cleek has been exploring traditional fiddle styles since childhood. He plays in the Ghost Trio with the sean nos singer Iarla Ó Lionáird and the piper Ivan Goff. He also collaborates regularly with Irish fiddlers Martín Hayes and Caoimhín Ó Raghallaigh. Cleek plays old time music in the stringband “Stringband Bigfoot” and the Brooklyn fiddler Stephanie Coleman. In addition to his pursuits as a traditional fiddler, Cleek is also active in the experimental music community, collaborating with influential figures like David Behrman and Ellen Fullman, and making work with his own New Perplexity collective of new wartime composers. His research interests include the aural turn in oral traditions via technological invention and the modes of listening and attention afforded by time spent with historic media. Guest Artists teach about one class/day. 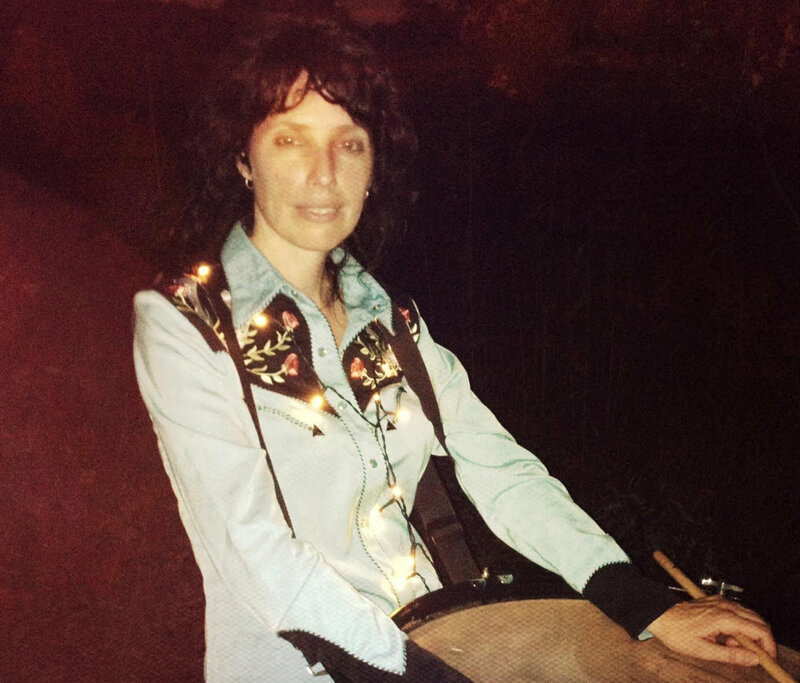 Rennie Elliot is a singer, banjo player and drummer who spends her time between Brooklyn, Nashville & Austin. She loves to play everything from old time, country, cajun, mariachi, punk, & viper jazz in such bands as Woody Pines, Kings County Queens, Wild Angles & The Yeah Yeah Yeahs. She also works professionally in video production, tv commercials and film, as well as puts on camps and festivals. She would love to help you get you started on drums, banjo, singing or video making. 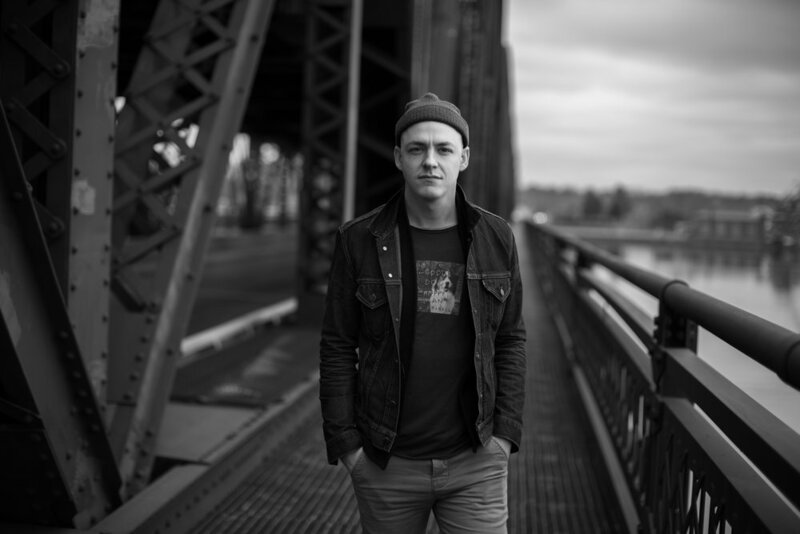 Since beginning his career in the music world, Matt Smith has been on panels and advisory committees at the Falcon Ridge Folk Festival, the International Folk Alliance, and the Northeast Regional Folk Alliance. He has worked as a tour manager and sound engineer for the singer-songwriter collaborative, Live From New York (Edie Carey, Teddy Goldstein, Anne Heaton, and Andrew Kerr) and the Celtic band Halali (Hanneke Cassel, Laura Cortese, Lissa Schneckenburger, and Flynn Cohen). Matt has also been a stage emcee at the Falcon Ridge and the Newport Folk Festivals, and he is the managing director of Club Passim and founder of Club Passim's Campfire Festival.